This year has been a disappointment for investors. 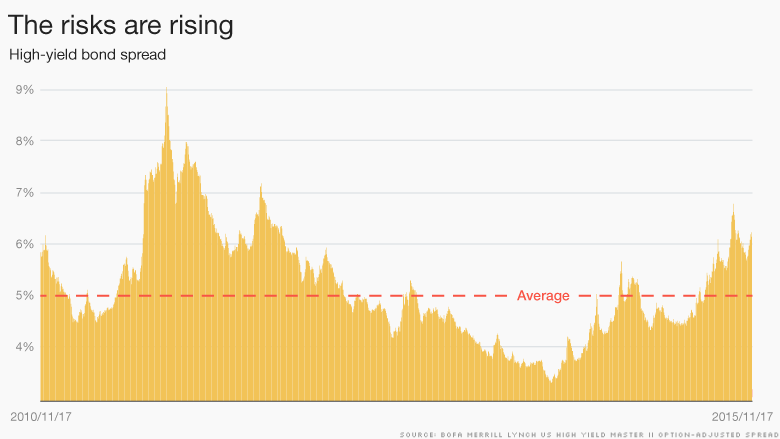 The stock market is basically flat. 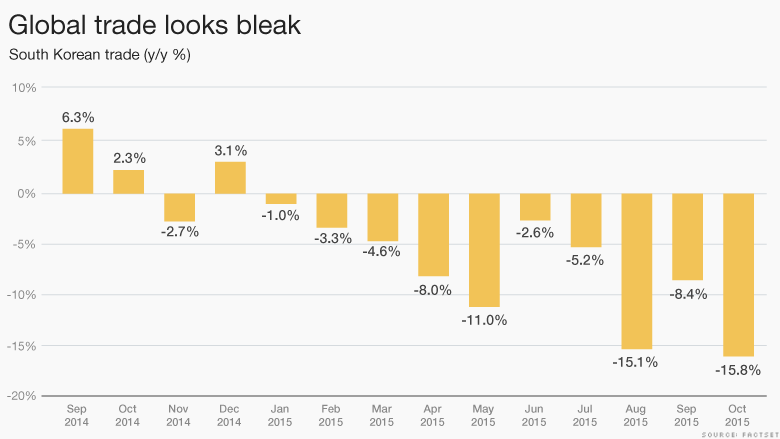 Even if there's a "Santa Claus rally" to finish the year, stocks will be lucky to end 2015 up much more than 3%. Most investors are already looking ahead to 2016. Whether you're optimistic about the U.S. economy and stocks next year depends largely on one factor: Do you believe American consumers will keep spending -- or even pick up their spending? "It's a consumer-led recovery. That is the key for 2016," says Andrew Milligan, head of global strategy at Standard Life Investments. But problems abound. Beyond terrorism, there's China's slowdown, Greece's meltdown, the (arguably too) strong dollar, a manufacturing crisis and the energy sector on a lifeline as gas prices go back to $2 a gallon. And the Federal Reserve's rate hikes. The question is whether Americans will shop enough to offset the headwinds. CNNMoney's Fear & Greed Index is sitting in neutral -- an indication that many are waiting to see what comes next. 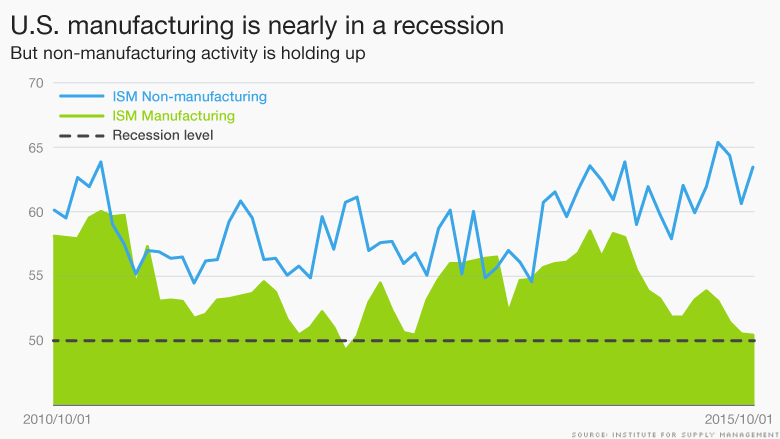 U.S. manufacturing is on the verge of a recession. It's been hit by a double whammy of foreign countries not doing so well (and thus not buying as much) and a very strong U.S. dollar which makes American products even more expensive when sold abroad. "I see continued trouble ahead [for manufacturing]," says Alan Tonelson, who a manufacturing and trade expert who blogs at RealityChek. "I not only see no signs of major overseas headwinds flagging off at all, they could very well increase." A key statistic to watch is the monthly ISM manufacturing index. It's hovering just above 50 -- the point at which manufacturing actually contracts. The next reading is due out on December 1. Related: Is U.S. manufacturing signaling a recession? China has been at the top of the worry list since the summer. Everyone knows it isn't growing at 7% anymore. Chinese statistics are notoriously unreliable. That's why experts are turning to the South Korean figures. Korea's trade data is seen as a "canary in the coal mine" because it's one of the first countries to release data each month. It's also a major electronics exporter to China and beyond. As South Korea goes, so goes much of the world. "They are a useful touch point," says Milligan. "At the very best, we're at the early signs of stability for Korea." South Korean exports took a nosedive in August -- falling 15% from the prior year. They haven't improved much since. They were down almost 16% in October from the prior year. The next report is out December 1. Perhaps the biggest red flag could come from the junk bond market. Prominent investor Jeff Gundlach has called it "the beginning of something big." 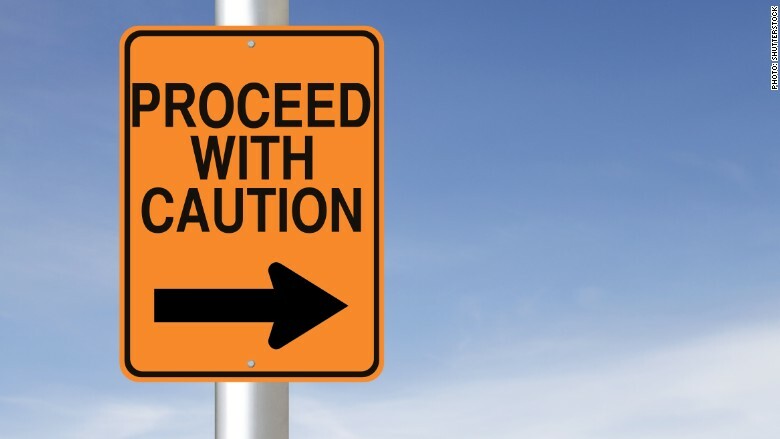 Junk bonds -- sometimes called high-yield bonds -- are looking riskier. The spread between junk bond yields and Treasury yields is getting wider. In the past, that's been a pretty good indicator of a recession. Historically, that spread is around 5% or so. Now it's up above 6%. "It's one of the signs. We're not calling for a recession. But this is one of the warning lights that are out there," says Arne Espe, vice president of fixed income mutual fund portfolios at USAA. A lot of people expected yields to go up a bit because of all the fear of energy companies going bankrupt from low oil prices. But the risk is rising in other sectors too. If the spread gets to about 8%, the U.S. economy typically goes into recession (or close to it like 2011 during the European debt crisis and U.S. rating downgrade). On balance, most Wall Street gurus still see America's economy and stock market "grinding ahead" in 2016. Consumption still accounts for the vast majority -- about 70% -- of the economy. So far, that looks solid. But it all depends on just how bad it gets elsewhere. "I'm not saying markets will have a horrible 2016, but many markets look stretched to fragile," says Milligan.